Meeting your waterproofing needs for over 50 years! Why Do I Need Waterproofing? A building or structure needs waterproofing, as concrete itself is not watertight. The conventional system of waterproofing involves ‘membranes’ applied to the positive, or exterior side of the below grade foundation wall. A watertight building envelope relies on the application of one or more layers of membrane that act as a barrier between exterior water and the building structure. This barrier will create a lasting dry basement, and will also enhance air quality in your home or building. New membrane materials seek to overcome shortcomings in older methods like damproofing. Generally, new technology in waterproofing membranes relies on polymer based materials that are extremely adhesive and can stretch to bridge small cracks on a foundation. The majority of our waterproofing membranes are spray applied. By spraying the product, it creates a seamless barrier around the outside of a structure. View our products page for more information on the different waterproofing membranes we offer. Our standard waterproofing system includes a seamless waterproofing membrane, paired with a drain mat or protection board that protects the membrane and directs water to the drainage system, eliminating hydrostatic pressure. The success of a waterproofing system relies on proper application and adhesion. Problems with application and adherence to the substrate can lead to leakage and waterproofing failure. Our experience in the waterproofing industry ensures that every step will be taken for proper installation of our products. 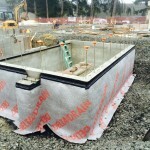 All American Waterproofing has been leading the waterproofing industry in Washington State for over 50 years. In 1959 Jack Stanton, saw the need for quality, cost-effective waterproofing in Washington, he started out with a vision of providing quality spray coatings and extraordinary customer service and application. This vision has now been carried through three generations. We are proud to be family owned and operated, and value the long standing relationships we have with our customers. Contractors and homeowners have come to count on our expertise, quality, and affordability. We use only the best and most proven products in the industry. We understand the need to stay within a budget, while expecting top of the line products, installation, and expertise. We put our customers first, and look forward to working with you soon! 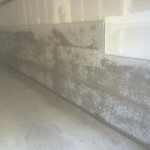 Exterior Concrete Waterproofing services include fluid applied waterproofing, fluid applied dampproofing, drainboard, drainiage board, termination strips, insulation board & more! 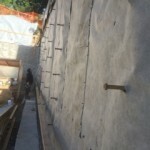 Blindside Waterproofing services include reverse drainboard, bentonite, rigid insulation & more! Interior or Negative Side Waterproofing services include an assortment of crystallized waterproofing products, interior drainboard application & more! Our other services include custom waterproofing designs, termination strips, pipe penetrations, exterior rigid insulation, tunnels, monopours, elevator pits, below grade structures, and much, much, more! 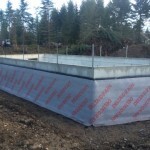 All American Waterproofing has been leading the waterproofing industry in Washington State for over 50 years. We are proud to be family owned and operated, and value the long standing relationships we have with our customers. Contractors and homeowners have come to count on our expertise, quality, and affordability. We use only the best and most proven products in the industry. We understand the need to stay within a budget, while expecting top of the line products, installation, and expertise. We put our customers first, and look forward to working with you soon!